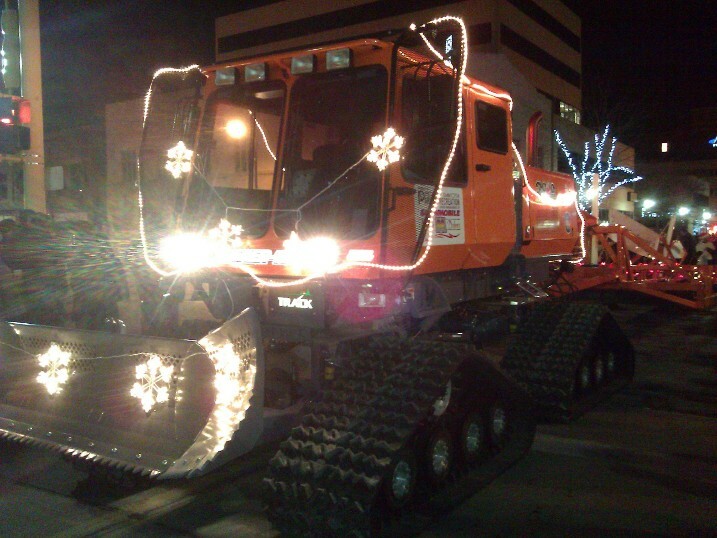 If you made it to the Holiday Light Parade in downtown Fargo tonight, you probably saw the snowmobile trail groomer for the Rural Cass Snowmobile Club, driven by Greg Strommen. If you missed it, here’s a picture…. ← Great weekend to help with snowmobile trail signing….